As of the end of September, the new Temperature Sensor OptoTemp has expanded wenglor’s product portfolio in the field of Photoelectronic Sensors. The high-performance sensor measures temperatures within a range of -25 to 350° C on the basis of infrared radiation emitted by the object, regardless of the material it’s made of and its state of aggregation. And thus wenglor is once again demonstrating innovative market competence in the area of optical sensor technology. The measurement of infrared radiation is quick and contactless, and the object itself is not influenced in any way. The temperature of a great variety of objects can thus be reliably measured, regardless of the material they’re made from and their state of aggregation. The sensor measures temperature with a spectral sensitivity of 8 to 14 µm within a measuring range of -25 to 350° C. The measured value appears at the integrated, intuitively operable display and is read out via the outputs or the RS-232 port. 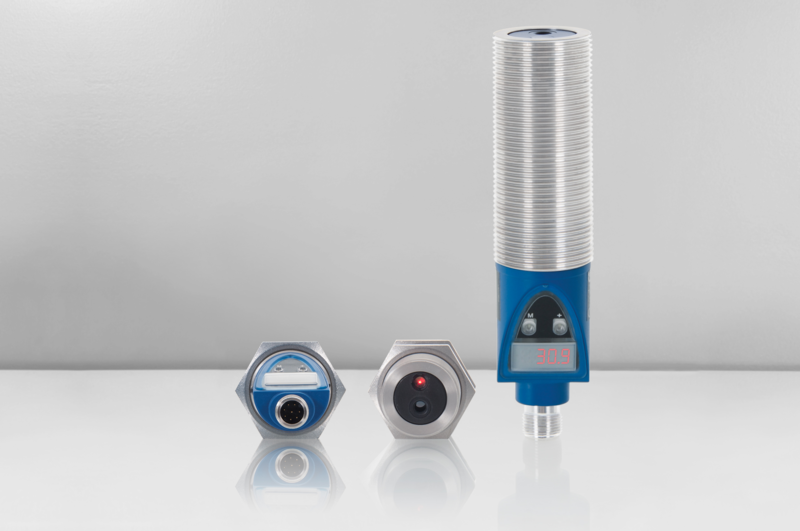 Thanks to its two switching outputs and an analog output, the sensor is suited for various measuring applications, for example target versus actual value comparison and absolute measurement. The integrated laser alignment tool and a teachable emission factor make initial start-up quick and easy. “The OptoTemp Temperature Sensor is a genuine all-around product”, explains product manager Maria Boos. “In particular the two switching outputs, the analog output, the configurable output function and teach-in of the emission factor via the intuitive display provide an ideal basis for a broad range of various temperature measurements.” Applications include conventional target versus actual value monitoring of liquids and raw masses, as well as process control for the prevention of temperature violations at non-metallic surfaces, right on up to the monitoring of engines and system components in the automotive industry. “Downtime can be avoided in this way, scrap can be reduced in production and uniform product quality can be assured throughout the entire value creation chain”, continues Boos.